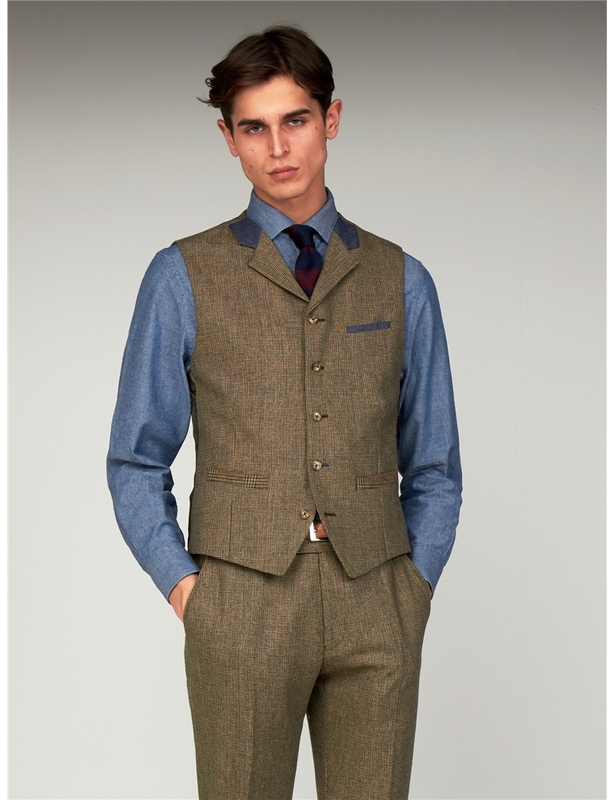 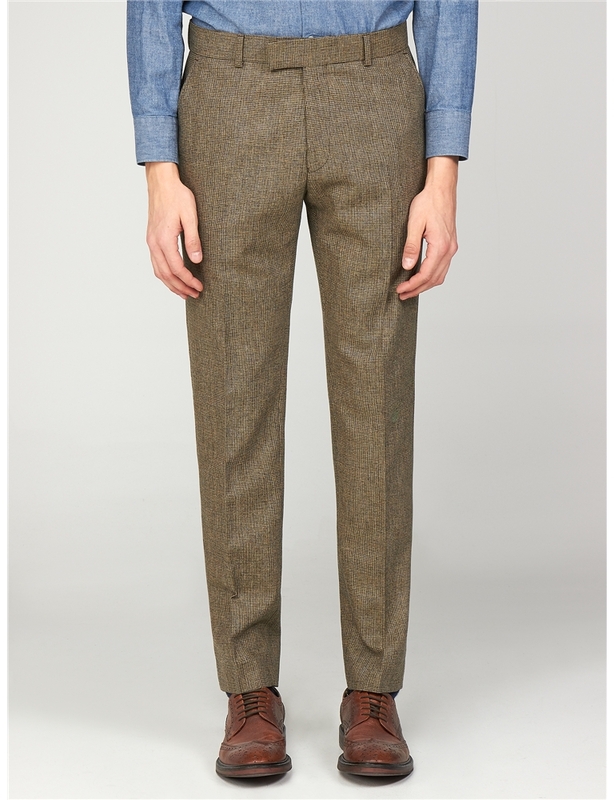 Artisan men’s trousers for the truly fashion centric. 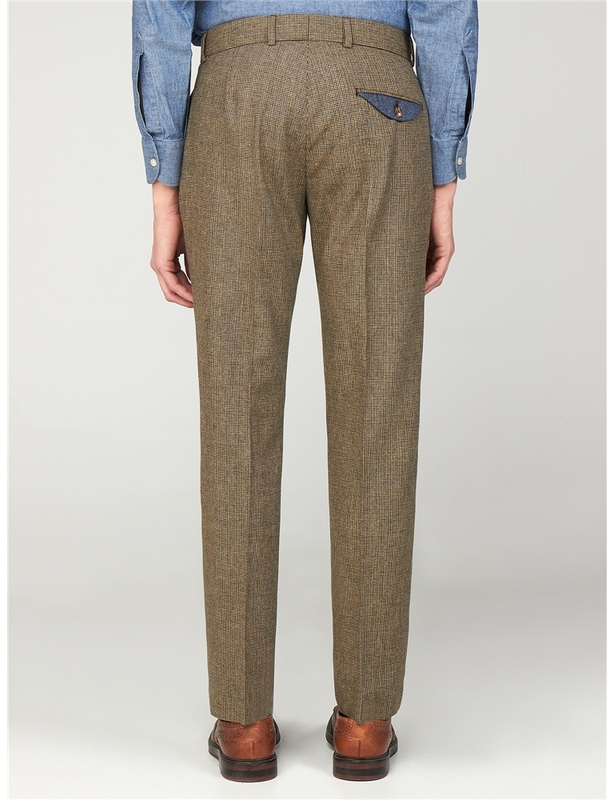 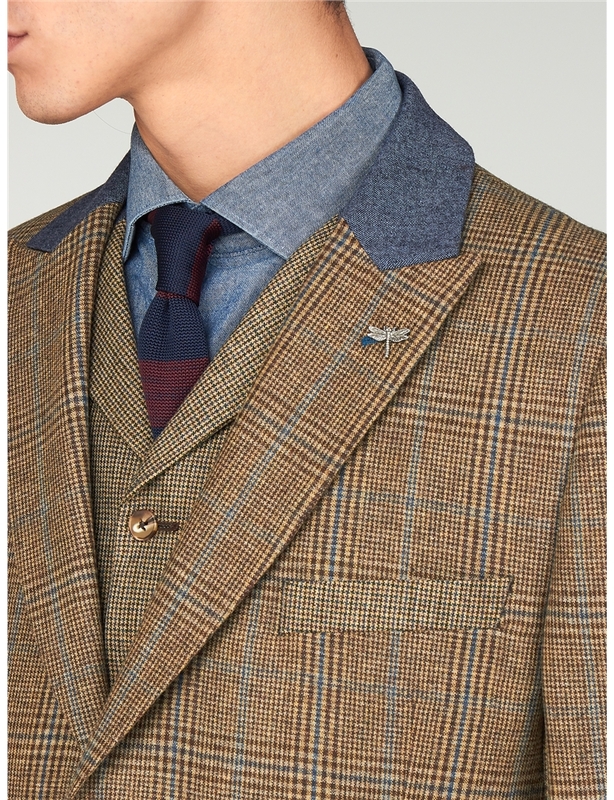 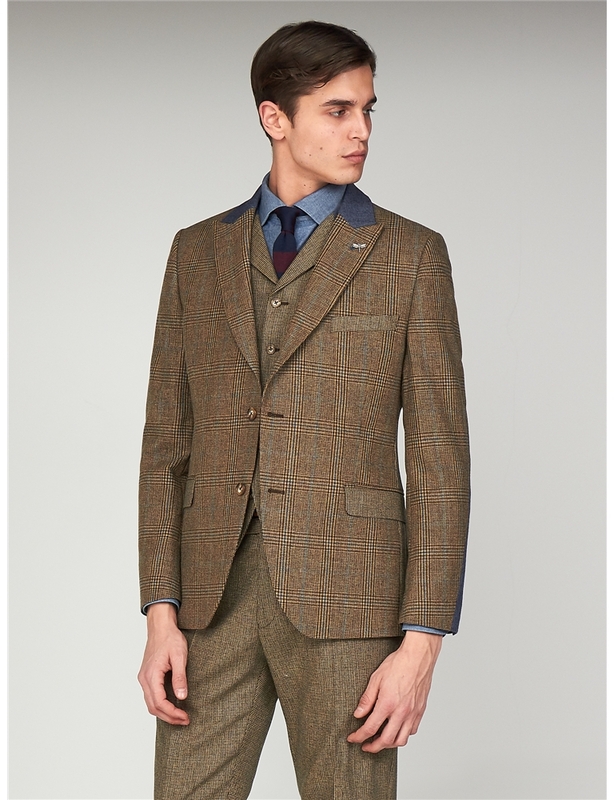 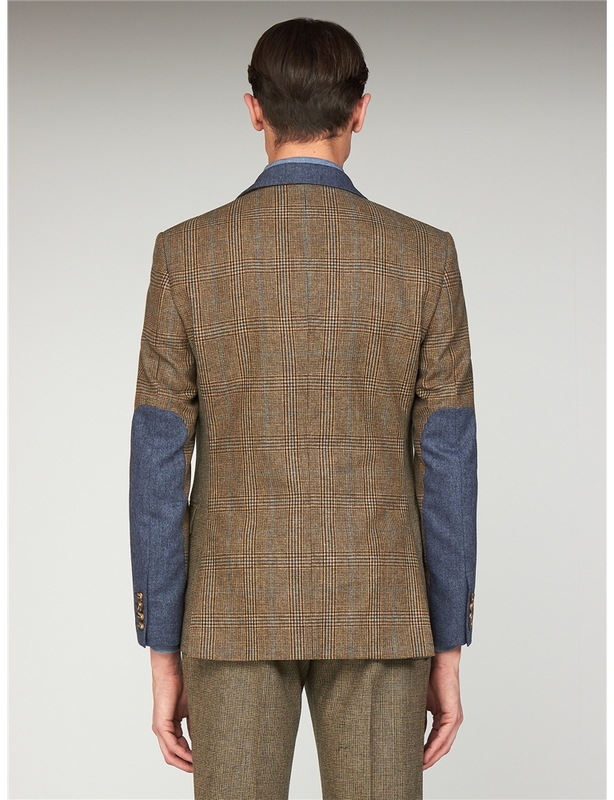 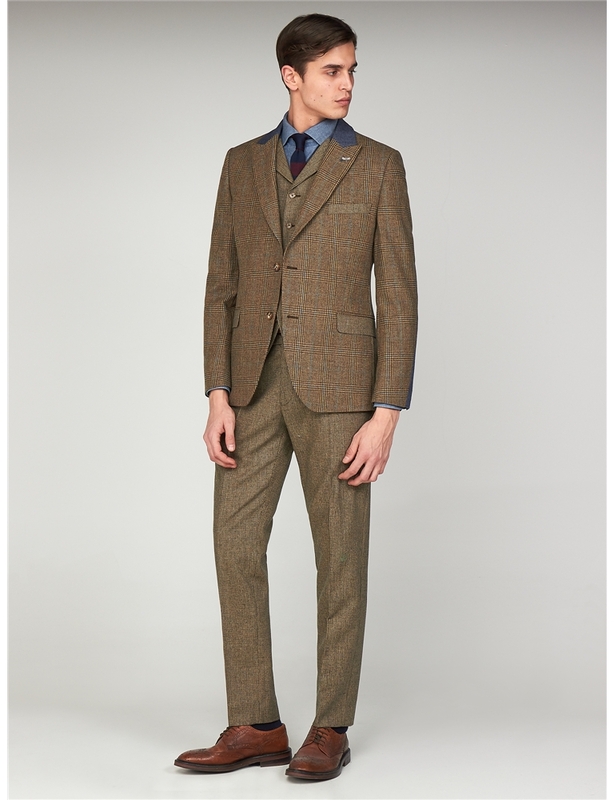 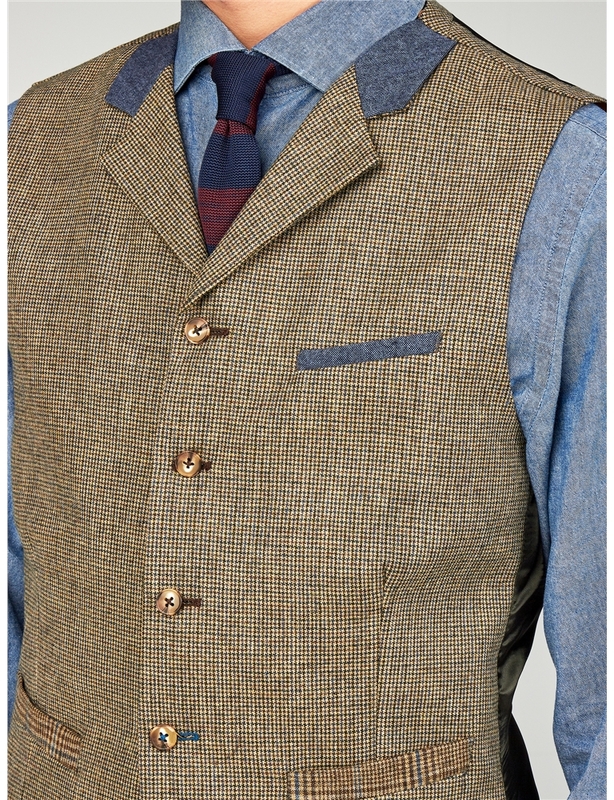 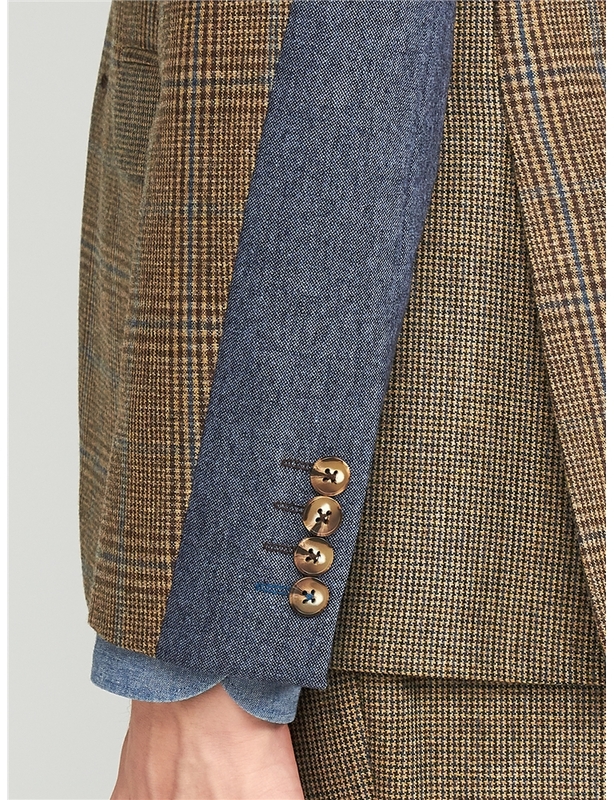 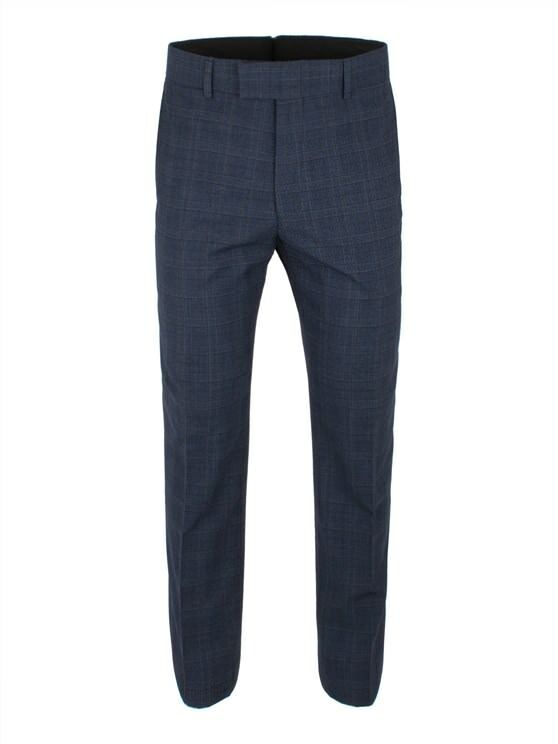 With a Radisson slim fit, this pair of men’s checked trousers represents true Carnaby designer style for the man seeking a statement of class, attitude and colour, with vibrant tones of fawn browns and blues in a wool rich, artisan puppy tooth tweed fabric. 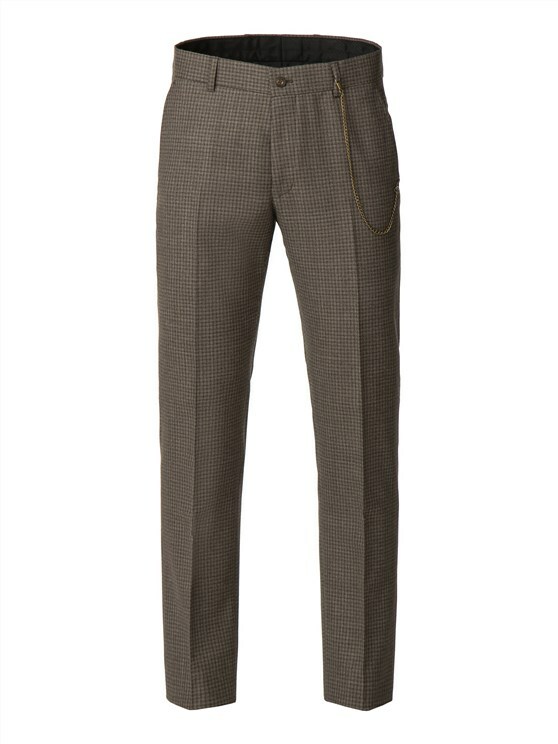 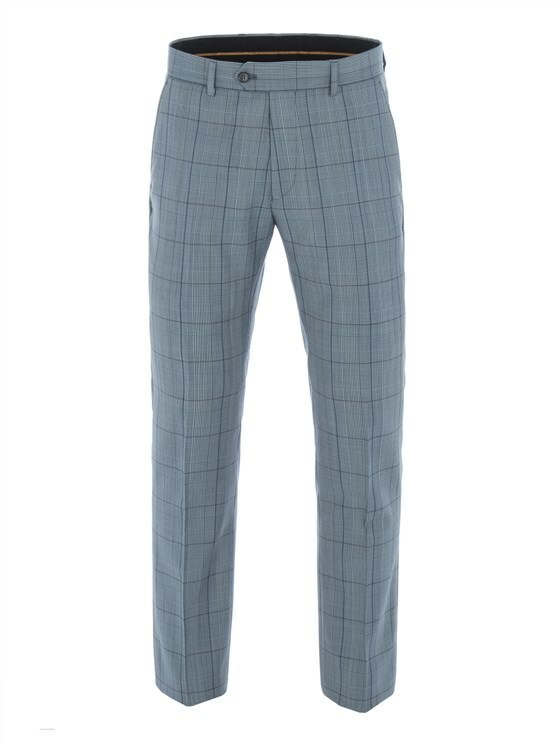 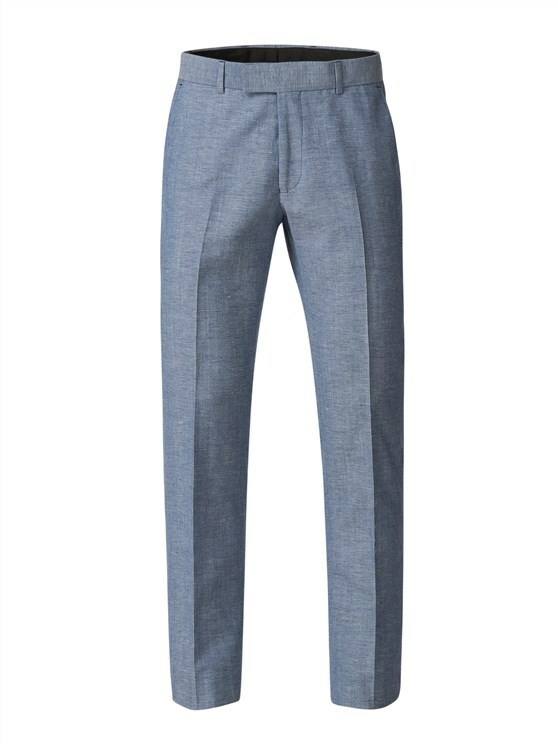 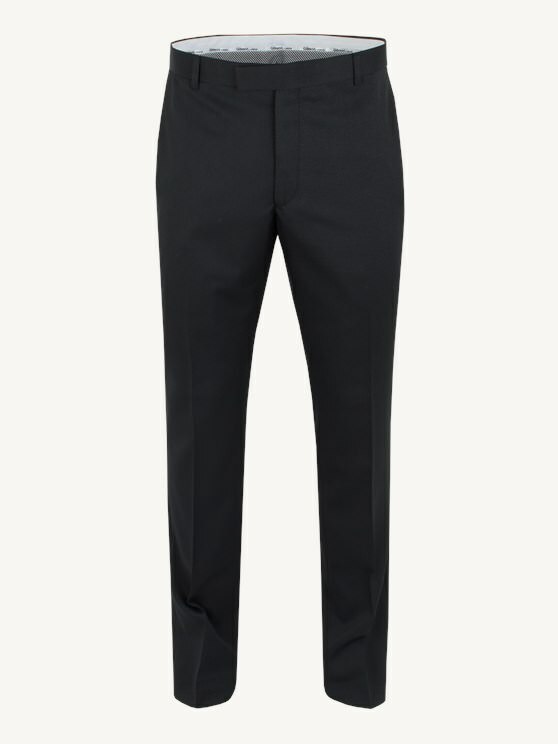 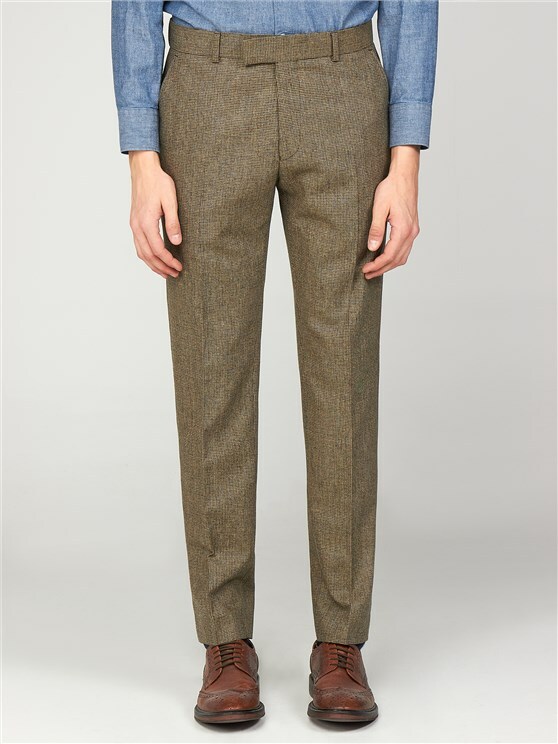 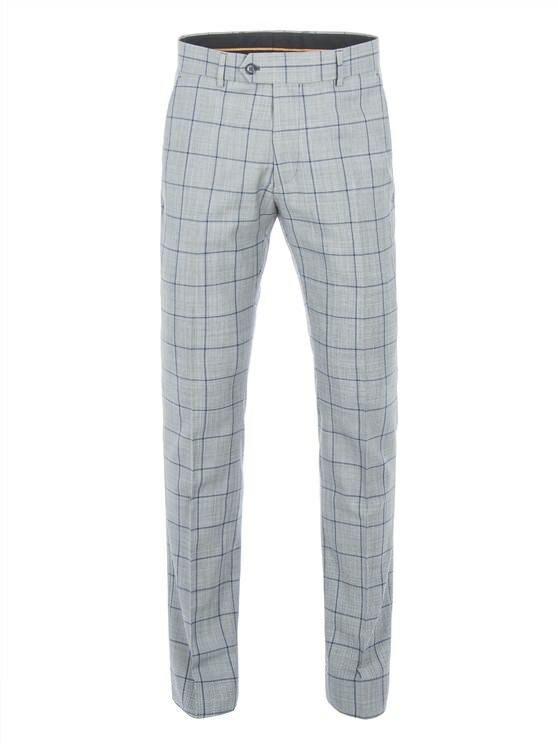 This pair of dogtooth men’s suit trousers is designed to make a statement, while easily mix and match suiting with a wide range of Gibson Menswear. 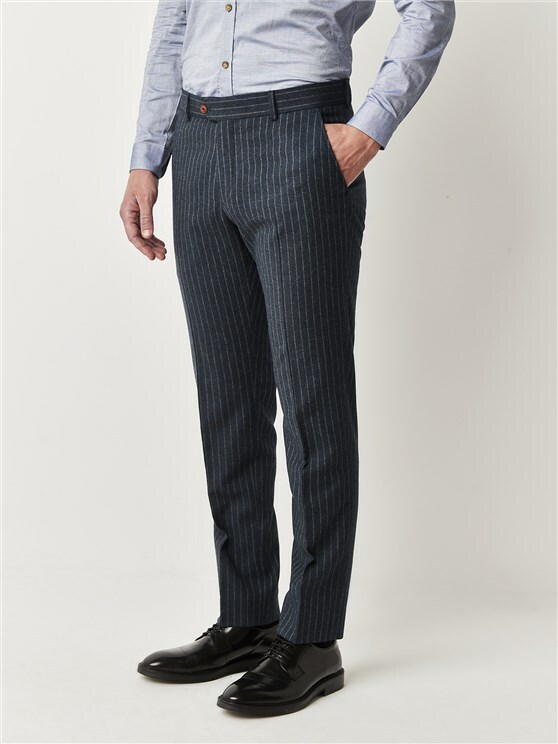 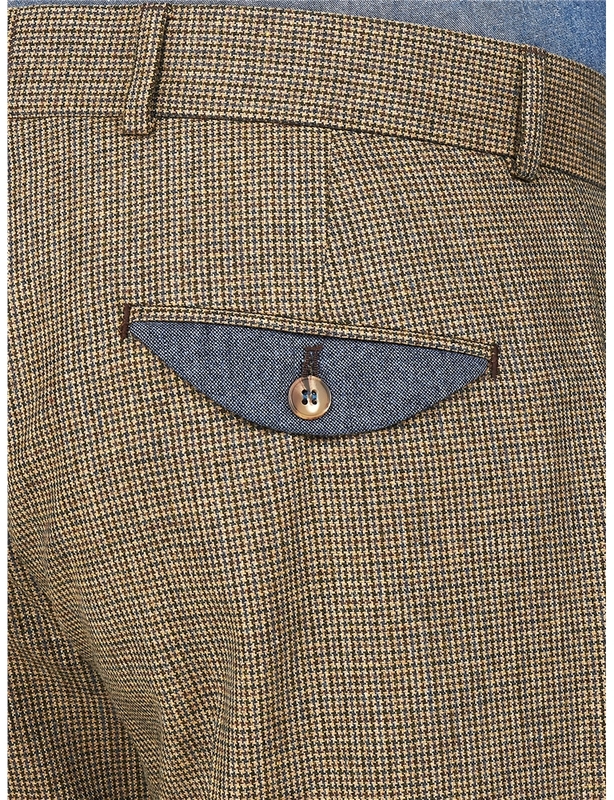 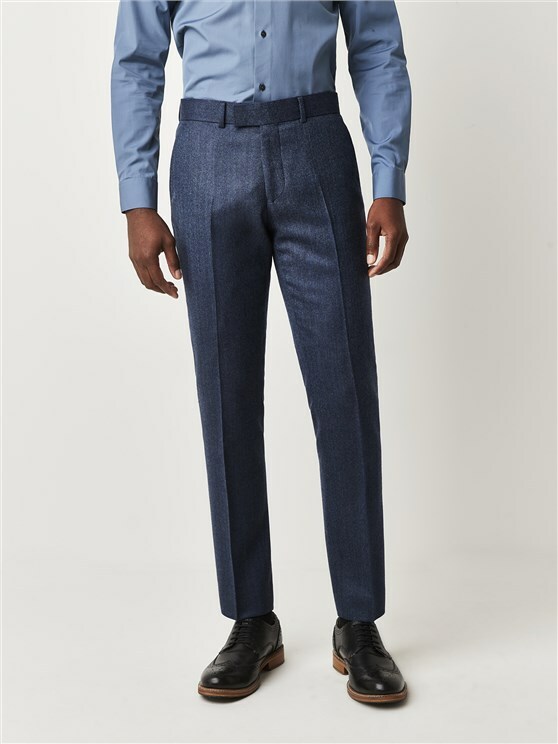 With contrast thread, blue pocket flaps and hard wearing, wool rich fabric, the Bakerloo Puppy tooth Trousers are designed for the man on the move, with a heritage colour scheme and Best of British look to combine, enrich and enliven your look with a combination of other Gibson London Products.